Spring and summer see an influx in wonderful wedding invitations and whether it is your own or a friends, you will want to look impeccable for the occasion. 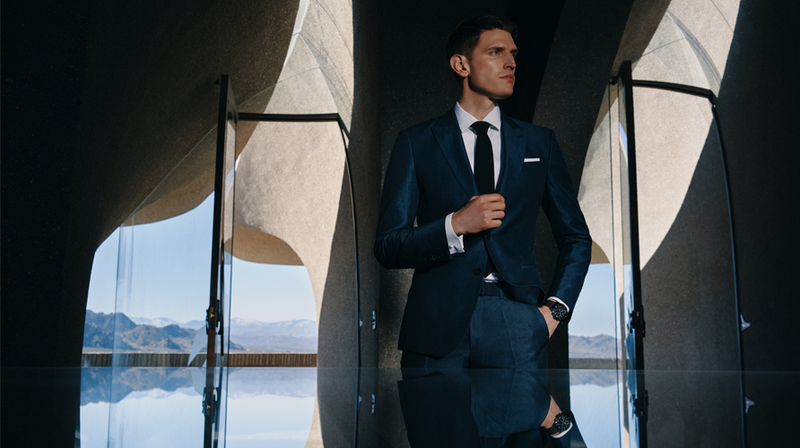 at BOSS, they take great pride in their tailoring expertise and with their advise, you can be confident in the knowledge that BOSS is best suited to your sartorial needs whether the Groom, a Groomsman or a guest. Book a personal shopping appointment with one of their suit specialists and from the initial consultation to the final fitting, they will ensure your experience is tailored to your requirements. As a final addition, select complimentary personalisation across shirts, ties and pocket squares to make your outfit truly memorable. This exclusive offer is only available until 31 May 2019 so make sure you book your appointment whilst you can. * Complimentary gift and personalisation only valid when purchasing your full outfit at your personal shopping appointment in-store. Personalisation only valid on BOSS pocket squares, ties and shirts. HUGO BOSS reserves the rights to exclude products made of materials not from embroidery. Unfortunately they cannot accept personalised products for exchange or refund. This does not affect your statutory rights.